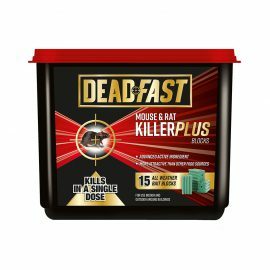 Deadfast Kill Vault Mouse Trap offers a no-see, no-touch experience with a stress-free baiting and setting of the trap. 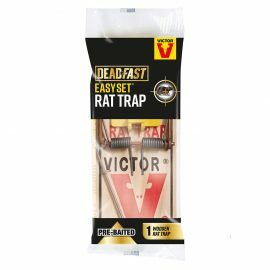 The Kill-Gate™system makes a quick, humane kill and the rodent’s body is contained within the trap. 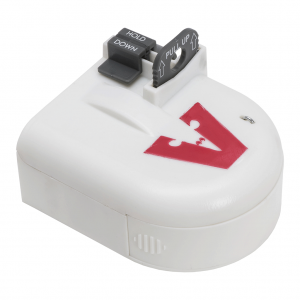 This eliminates the chance of a child or pet finding it. 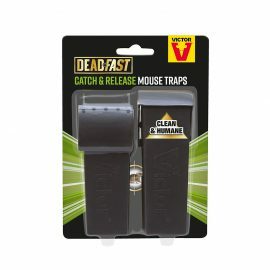 The trap can either be discarded or re-used after use. 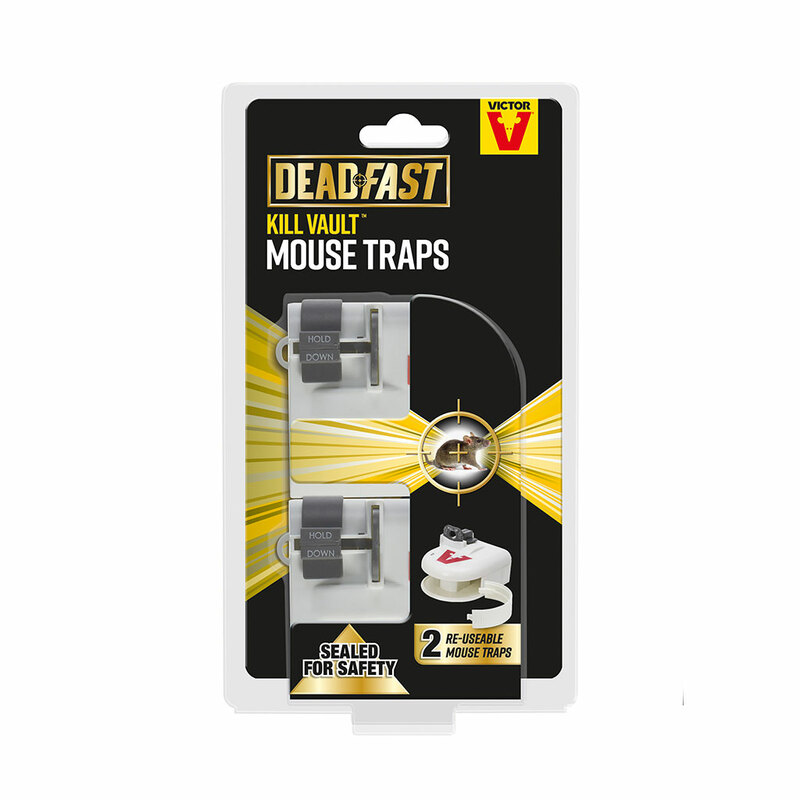 The re-usable Kill Vault mouse trap’s Kill-Gate™system quickly and and humanly kills. 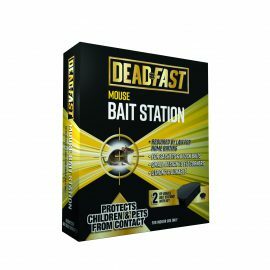 Bait: Pull out the bait door and apply bait in the trough provided(for example peanut butter/chocolate spread). 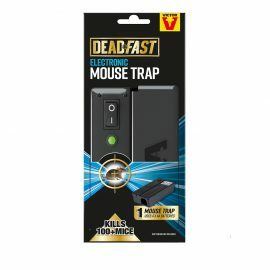 Set: Hold down the setting button on the top of the trap and pull up the Kill-Gate™ until it clicks in place. 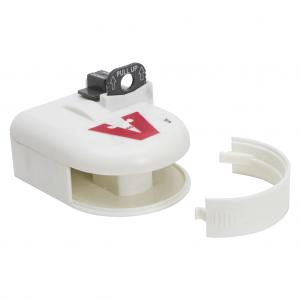 Place: Position trap along the wall where mice are known to travel (or where you have seen activity of mice). 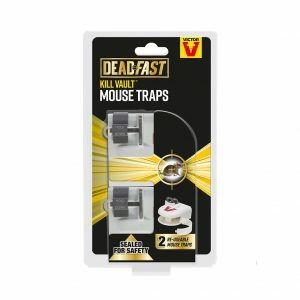 A: The Kill Vault Mouse Trap can be reused or disposed of. 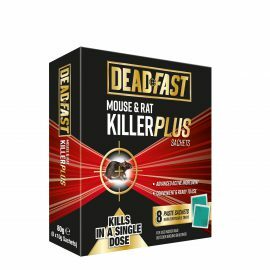 It depends on your personal preference. 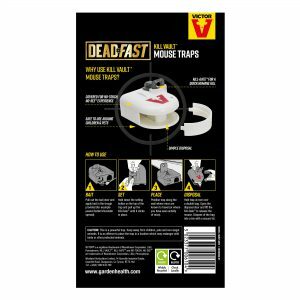 Check the traps frequently to ensure the trap is emptied as soon as a mouse is captured so the traps will last longer. 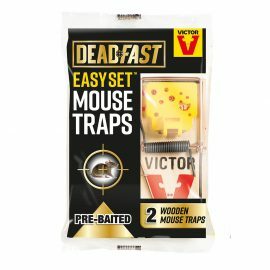 Please note that for personal hygiene and biohazard awareness, disposable gloves should always be worn when installing or recovering any traps.